Viktoria Trosien applies her skills for social causes through kicking of projects like deutschkiste (a free learning material resource platform), pro-bono consulting for social startups and being a juror/ mentor at startsocial. Her special interest is to explore the linking of art meeting innovation. As artists embody an independent and free, critical thinking that is becoming a rare phenomenon nowadays, while keeping a natural playfulness. 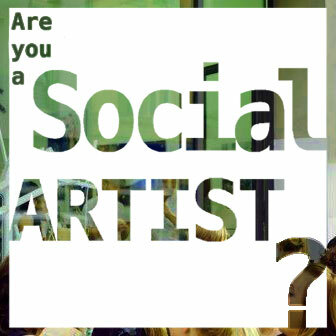 It is her goal to research on processes and the impact of art enabling innovation, with special focus on social change. For this purpose she founded together with Nicole Loeser the Institute for Art and Innovation. The multidisciplinary institute explores and promotes art and innovation as a means to foster social impact and change. 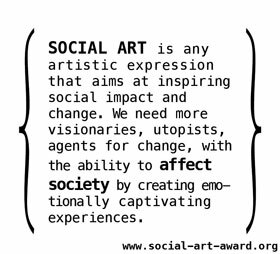 Initiating the Social Art Award is an important step to strengthen artists that are active explorers and contributors to social change. Viktoria Trosien studied Sociology at the Free University Berlin, Germany and the Pontificia Universidade Catolica Rio de Janeiro, Brazil. Additionally she holds a Master of Arts in Digital Communication from the University of the Arts in Berlin, Germany and the University St. Gallen, Switzerland. 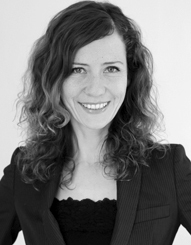 Viktoria has further professional training as coach, facilitator and in e-education.